Watching the draft this past week, I got a little curious what kind of stats I could pull out of the NFL. I got the current NFL rosters of each team from www.ourlads.com and did some manual configuring to make it easier to look at and analyze. This was the first thing I thought to look at, and found some pretty interesting results. After removing some dud birthdays from the records (a lot of the rookies had their birthdates as Jan. 1, 1900), January still came out at 15% above average compared to 2015 birth rates. 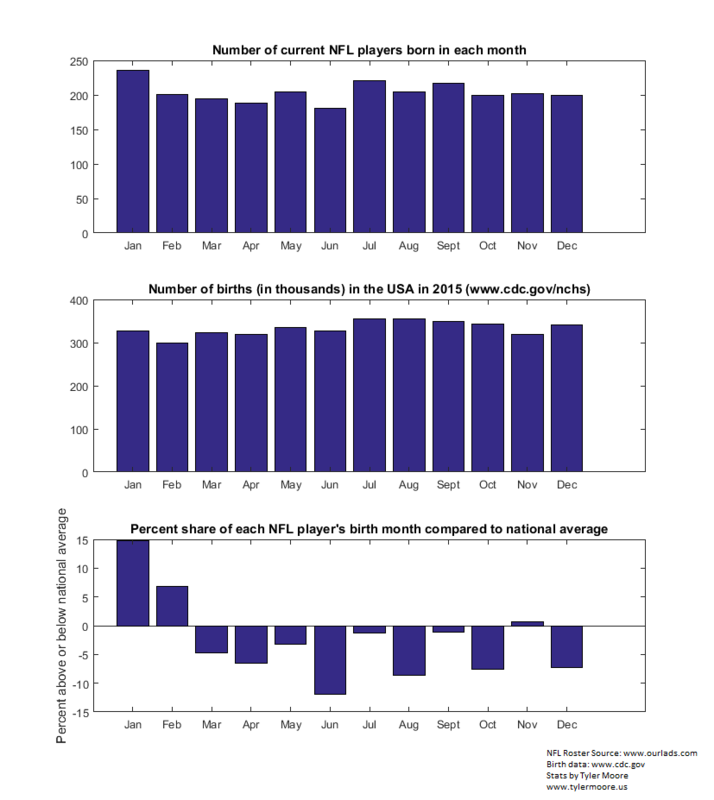 I tried to get 1992 birth rates to compare to (the mode birth year for current NFL players), but the CDC website only had the most recent years.